Enjoy kites theme educational activities for preschool and kindergarten. 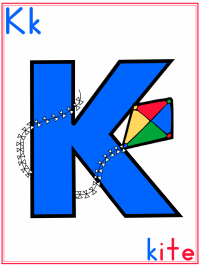 You will find free kite crafts projects, printable activities and coloring pages with easy to follow lesson plans, and related resources. These activities are adaptable for various themes and holidays listed within the lesson plan. Holidays & Events * Jan or Feb > Chinese New Year: The kite is a Chinese invention. * Jun 15th > Fly a Kite Day - to commemorate the Benjamin Franklin experiment.